Have you ever purchased a mattress? For most folks, the process can be an overwhelming undertaking. There are so many choices to make: how firm should it be? What material should I select? The mattress shouldn’t be too hot or too cool. And there are so many mattresses to choose from. IKEA, for example, offers 84 different mattresses. Tempur offers over 100 models. Which means, once you walk into IKEA, or any other mattress shop for that matter, you probably lie down on a number of them to test how they feel. After a long hour or so, falling on and off dozens of mattresses, you probably just pick one, hoping it will provide you with a good sleep. Yet then, at home, having spent a couple of nights on it, you’ll probably think, “Dang…I should have gone for the softer one.” Of course, now that you’ve spent a couple of nights on the mattress, there’s no way you’ll be able to return it! 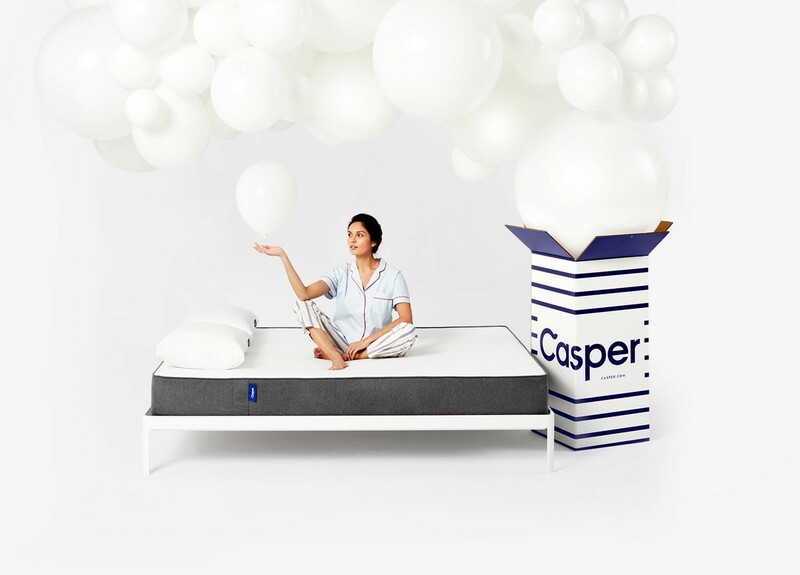 Casper, a New York-based startup, observed this less than satisfactory customer experience, and saw the opportunity to make buying a mattress easier and more enjoyable. Here’s what Casper’s Art of Opportunity strategy looks like. Through listening to consumers, prototyping and A/B testing, Casper discovered that most people actually converge toward the same type of mattress, which sounds a little bit counterintuitive. So instead of offering a range of mattresses, Casper developed and sells only one mattress in six different sizes. It looks like they are focusing on private customers for the time being, but we could imagine business customers to be an excellent market. Which hotel doesn’t want a solid, high quality mattress at a relatively low price that fits most people’s sleeping tastes? The Customer Experience: It’s easy to choose the product (there’s only one), an affordable price and free home delivery (no more “How do we fit this thing in our car?”). Customers can test the mattress for 100 nights, free return pickup, with a full refund. Appealing brand (have a look at their video explaining the design of the mattress) with a premium store experience. Mattresses are delivered in 41 by 21 by 20 inches boxes, which make it easy to maneuver the mattress through your apartment to the bedroom. The Business Model: Heavy focus on customer research, establishing long-term relationships with customers, getting their feedback. The mattresses are assembled in the U.S., manufactured with mainly products from the U.S. (one component comes from Belgium). Casper applies a direct sales model, selling primarily through its website. Delivery of mattresses is handled by third parties on the same day in key cities. In June 2016, the company announced a strategic partnership with the furniture chain West Elm, which will exclusively distribute the mattresses in its 77 U.S. stores and on its website. The Revenue Model: Pretty simple and affordable pricing. Depending on size, mattresses cost from $500 to $950, compared to competitive premium mattresses, which can easily cost upwards of $5000. The direct sales approach lowers Casper’s cost. Value for the customer: hassle-free buying experience, removing the hurdles to satisfaction along the customer journey, offering a good sleep. Value for Casper: the media attention. An estimated $100 million in revenues in 2015, having only been launched in April 2014. The direct sales and online retail model have made an expansion to Europe relatively easy. Value for Ecosystem Partners: collaboration with West Elm. As this seems to be an exclusive deal for the time being, West Elm gets additional attention. Find more stories like these in “The Art of Opportunity,” available now wherever fine books are sold. Originally published at startupnation.com on June 12, 2017.